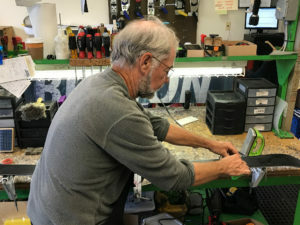 Treat your equipment to a handcrafted tune by our mountain based professionals with over 30 years of combined experience. We are offering the best deals of the season. Whether it is in great condition and just needs a sharpen and wax, or it has been used a little more and could use a tune up, or you want to have them brought back to like new condition with a full tune, We will take care of them. The Tuning Center is located at the base of the mountain in the ground floor of the Sunset Lodge adjacent to the Season Locker Room. 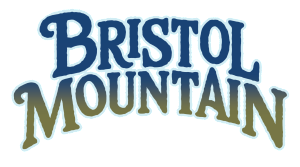 Call 585-374-1142 or email tuning@bristolmt.com for additional information. Waxed skis ski better. Waxed snowboards ride better. Period. Wax puts a barrier between your skis or board and the snow, which enables them to move more evenly, smoother, and faster as you move down the mountain. From corduroy to corn snow there are so many different types of conditions that can exist on the mountain and there are waxes designed to optimize the performance of your skis or board during those conditions. Think about the last time you skied through a puddle and felt your skis slow down. A good coat of wax can help mitigate the impact of variable conditions and ensure even, smooth performance from your equipment. Should I get a tune? If you are asking this question, your skis or board probably needs a tune. Can you see rust on the edges? When you run your fingers down the edges do they feel dull? Can you feel burrs or nicks? Tuning will help remove these imperfections and enable top performance from your equipment. There is nothing worse than hitting variable terrain and not being able to catch an edge because your skis are dull. What is stone grinding and why do I need it? It may be hard to believe but ski bases aren’t smooth. The base actually has a pattern of grooves that help to prevent suction between your skis or board and the snow enabling you to move faster down the mountain. Stone grinding helps reestablish this structure on your base after repeated use of your equipment.